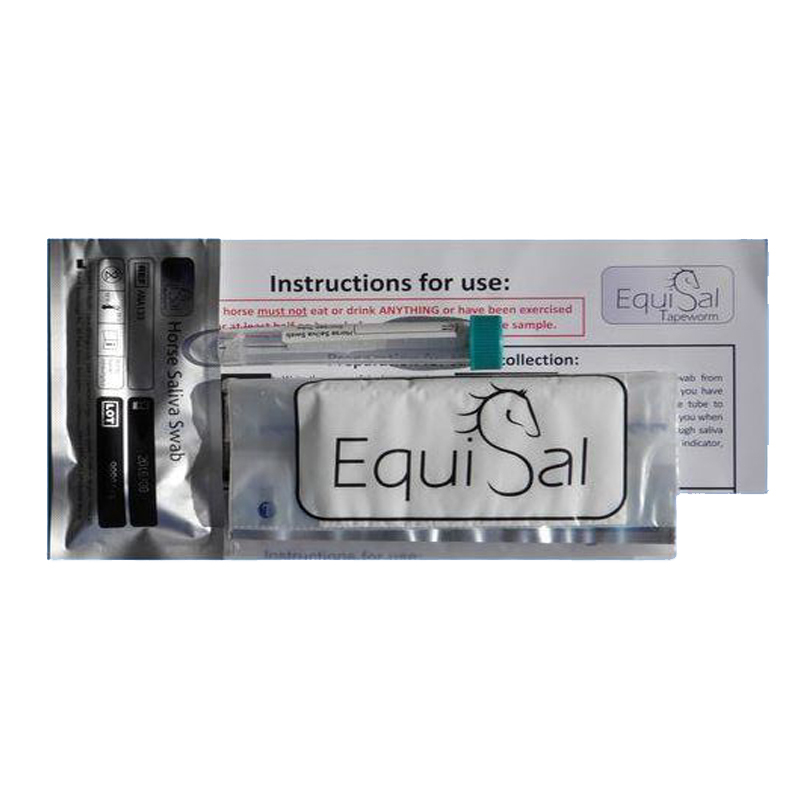 The Equisal Tapeworm test is a revolutionary, easy-to-use test that can detect tapeworm burdens using your horse's saliva. It works just like a blood test and measures tapeworm specific antibodies in the saliva. Now you can incorporate tapeworm testing into your targeted worming programmes more easily. It is advised to incorporate a tapeworm test into your targeted worming programme every 6 months and worm only if necessary. All you need to do is collect saliva from your horse, using the specially designed swab, and return it to the lab using the freepost bag provided. The price of this kit includes the kit itself, the postage fee to the lab and the Equine veterinary report fee. Once the results are ready, the lab will send both you and eVetDrug the results via email, so we can offer advice on your horse or yard's specific worming requirements. If you have any questions, please do not hesitate to call and talk to one of our experienced Equine Vets.